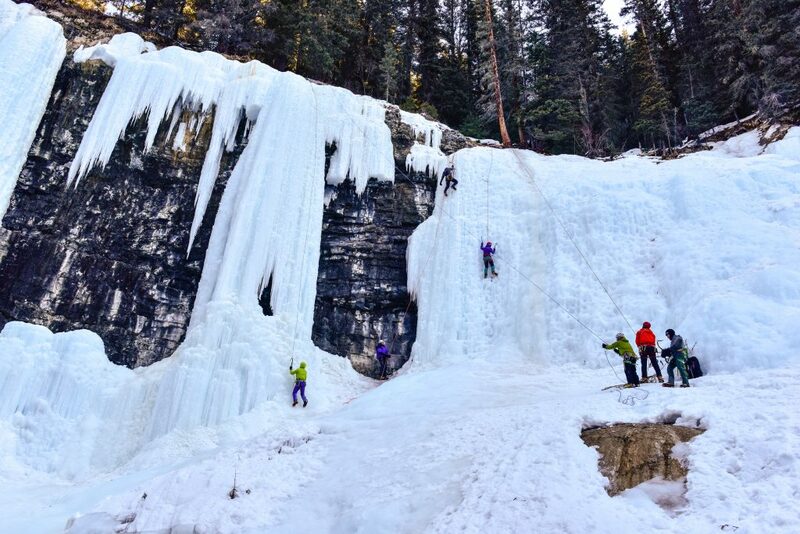 Held at the base of the Canadian Rockies mountain range in Banff, Alberta, Canada, this year’s sold-out AdventureELEVATE event attracted 285 delegates from around the globe. 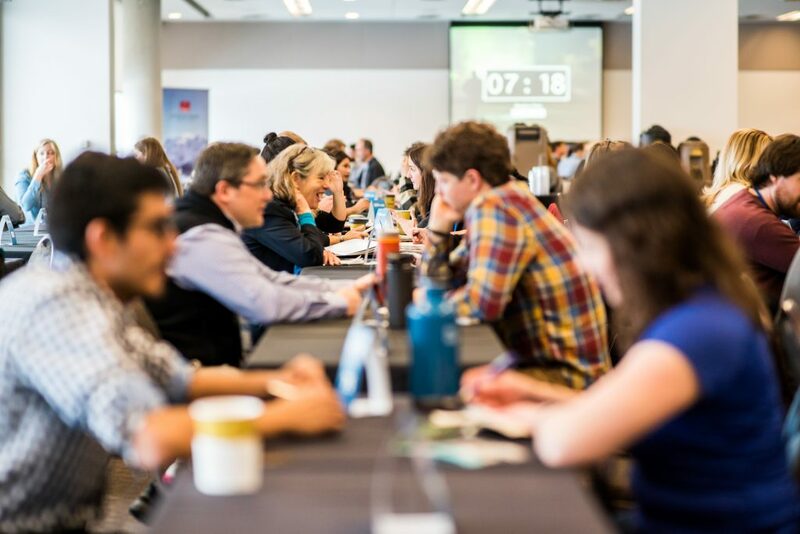 Over the course of the event, held 13-15 March, travel professionals engaged in outdoor activities, workshops, and networking opportunities at the Banff Centre for Arts and Creativity, encouraging everyone to step out of their comfort zones, explore new terrain, and empower their edge. 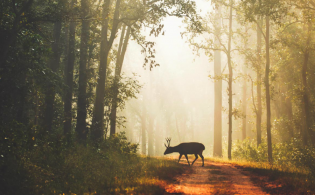 An impressive 76% of delegates participated in AdventureELEVATE for the first time this year, and this was the first Adventure Travel Trade Association (ATTA) event for 52% of delegates. The event’s theme, Empower Your Edge, called upon delegates to consider their own boundaries — their own challenges or goals — and how to go beyond them, approaching situations differently and making use of this collaborative community to grow both professionally and personally. Keynote speakers and breakout sessions provided inspiration and tools for doing just this. Tom Fritz of Fritz Insight Group led a customer journey mapping exercise, coaching delegates on how to identify business opportunities centered on emotional engagement. “You can build skills, but make sure you hire people who are empathetic and compassionate,” Fritz said. Delegates also worked together in a popular Trendspotting Lab, where they evaluated changing market forces and global movements affecting adventure travel, and defined best practices for staying competitive even as the industry evolves. 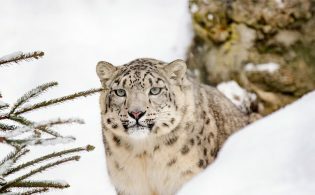 This annual event was also the inaugural unveiling of AdventureExchange, a pre-scheduled networking opportunity open to all delegates, destination representatives, gear members, operators, and media. This networking session was a strong complement to the traditional MediaConnect (which focuses on media) and gave all delegates a time and place to share ideas. 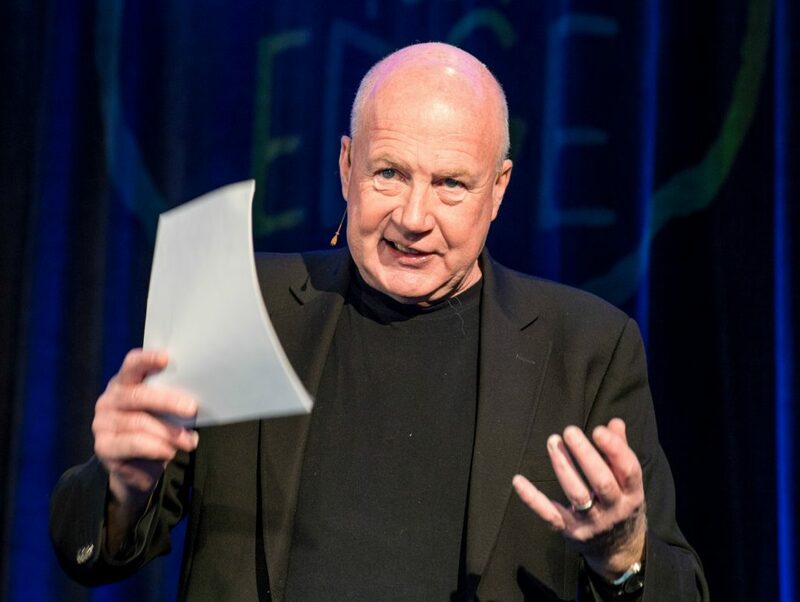 As noted by keynote speaker Kevin Roberts, “We live in the age of ideas. They are the currency of today.” With that metaphor in mind, AdventureExchange felt similar to Wall Street with a flurry of activity — in three hours, 198 delegates participated in nearly 1,600 meetings discussing new products and common challenges — and all the while local artist Amy Dryer sat on the periphery, painting the scenic views outside. AdventureELEVATE also encompassed a significant cultural component, which included several new, regionally focused elements. 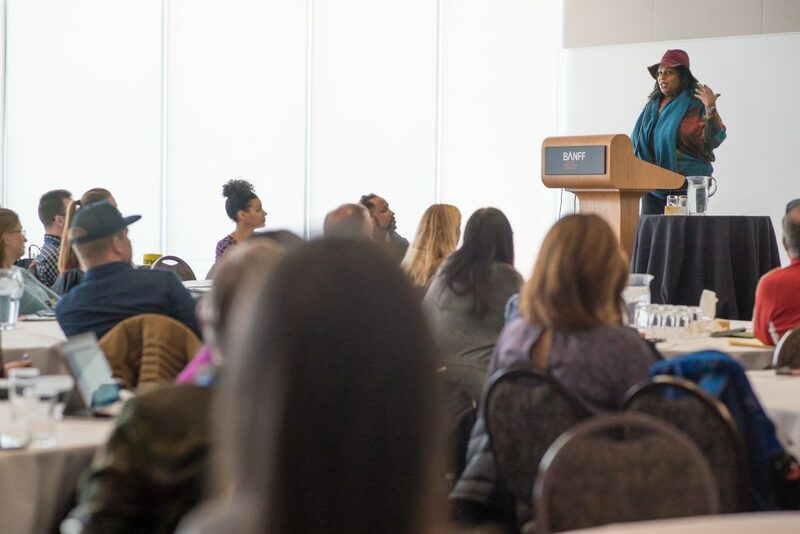 Delegates were treated to a screening of films from the Banff Mountain Film and Book Festival as well as a stunning, live performance from Indigenous singer Iskwe, which left the audience awestruck as she shared her people’s personal stories through song. 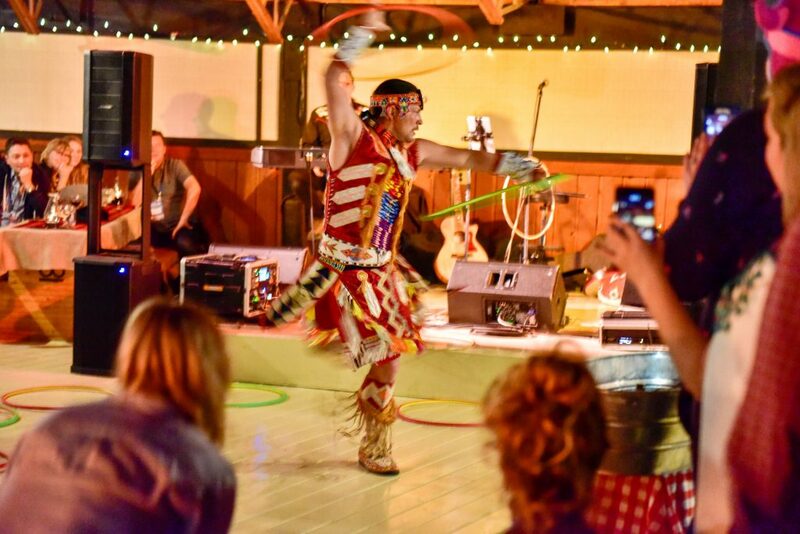 And at the off-site closing party, delegates were dazzled by a display of Canadian culture including Alberta barbeque, local brews, owls from the Alberta Birds of Prey Centre, and a performance by native, three-time world champion dancer Dallas Arcand. 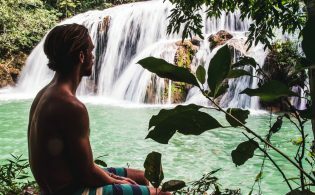 AdventureELEVATE 2018 left all delegates with renewed inspiration, connections, and tools needed to follow through on the event’s promise to Empower Your Edge. 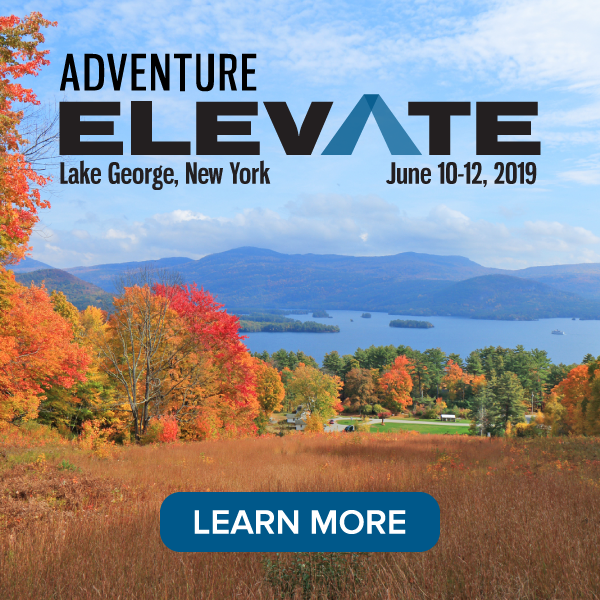 Building on this momentum, adventure travel industry professionals are invited to register now for AdventureELEVATE 2019 in Lake George, New York, 10-12 June.